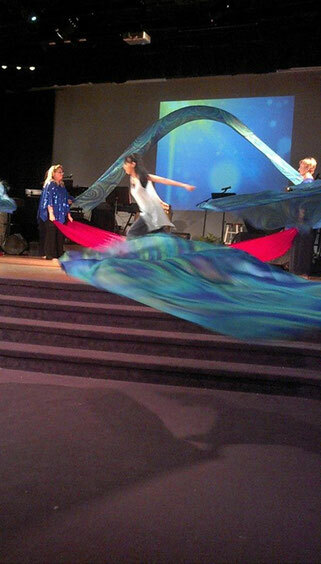 Dance Silks & Billows - 3 Strand Cord Silks - Glowing Silk Flags & Billows based on the Bible, Jesus and His Church, to enhance your worship of God! 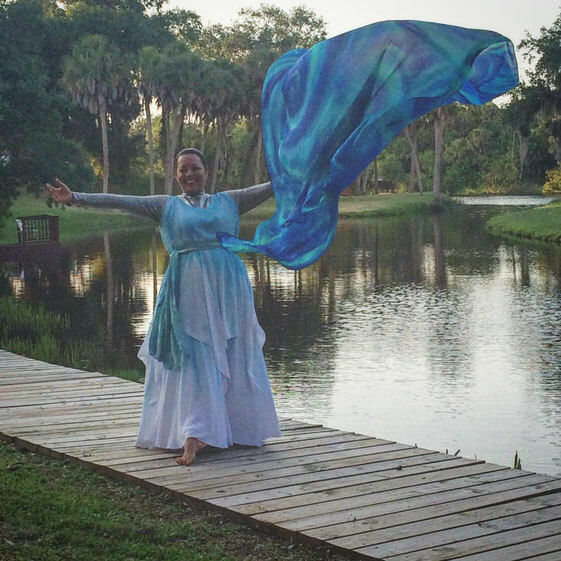 Billows are so versatile ~ you can use them in dance pieces, in congregational worship or just dance with them! 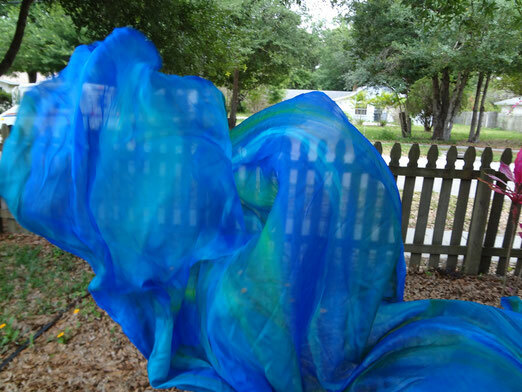 Absolutely wonderful to work with, these Living Water Billows are 55' wide and about 9' long, made of very fine, lightweight silk. May be used as fabulous High Flyer flags, flown on 4' dowels (the silk will hang longer than the dowel) or used as dance billows in worship. It takes a little practice to get the hang of it, but once you do - it's glorious! 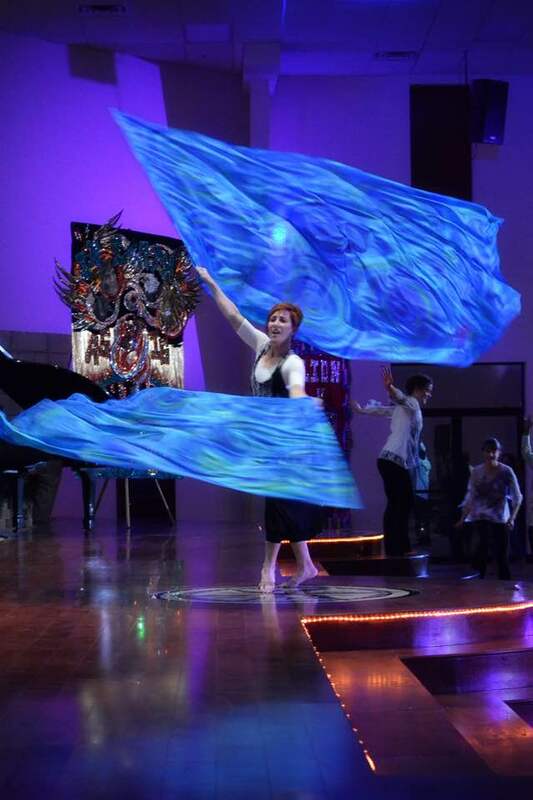 Living Water Billow 9' x 55"
Almost any of the beautiful flag designs may be expanded to become a silk billow or a dance silk. If you don't see what you have in mind on my website, please contact me and let's see what we can create! Living Water! 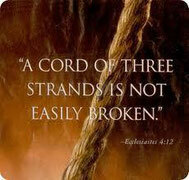 It flows from the Throne of God and brings life to everything it touches! Everything lives where the River goes!!! (Ezekiel 47:9 and Revelation 22:1) This silk is meant to move! Color and shading will vary and often appears to shift in different lighting. Living Water Billow - Invite the Holy Spirit to speak through the River of Living Water while you move this silk. Made to different lengths. Living Water - in Action!